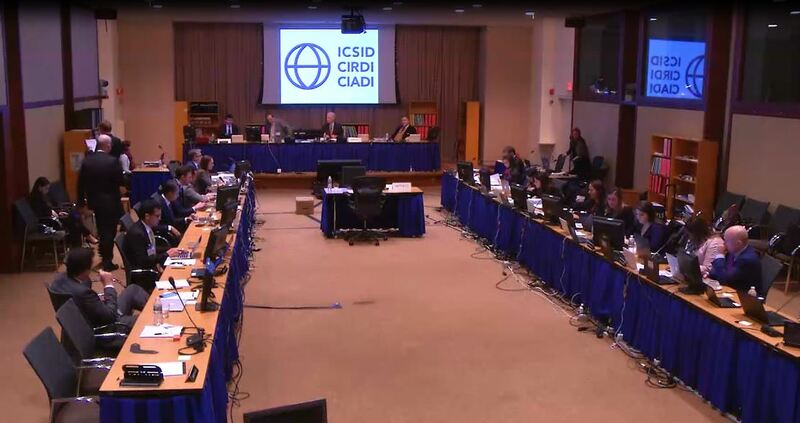 US Investors bring The Republic of Costa Rica to the World Bank's International Court of Settlement of Investment Disputes, (ICSID) in Washington D.C. December 2016 on a $90+ Million Dollar claim. The investors claim that their fully approved and permitted beach homes project was illegally shut down, despite having been approved with construction permits as per Costa Rican law. All permits and approvals were obtained over a 7 year period prior to the shut down in 2011, at great professional, governmental, technical and legal expense. In 2011, one of the claimants and the sales manager of the project found themselves facing criminal charges relating to environmental law, and their project was abruptly shut down. This happened shortly after they refused to pay a bribe to an official of the Costa Rican environmental agency, "MINAE". Government entities and officials then disregarded head environmental agency "SETENA" orders on the project which had become laws. These entities and officials acted in contravention to Costa Rica's administrative and constitutional laws raising Basic Human Rights violations and concerns. Claimant David Aven left the country after an assassination attempt on his life. Project Sales Manager Jovan Damjanac remained in Costa Rica, enduring 3 separate criminal trials with the State appealing the not guilty verdict of his last trial. To this day in January 2018 Mr. Damjanac has been in the Costa Rica Criminal Court 3 timesand since 2011. He has not had a final trial. He has been waiting for a new trial date since 2013. The case is entitled David Aven et el vs the Republic of Costa Rica, ICSID Case No. UNCT/15/3. A ruling is expected the first quarter of 2018. 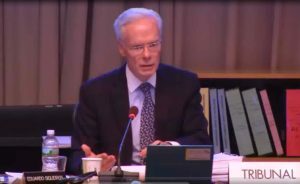 The videos and information on this page are from the CAFTA Arbitration hearing held in Washington, DC,. December 5th through December 12, 2016. Here Mr. Luis Martinez Zuniga, a Costa Rica "criminal" prosecutor stumbles around the CAFTA panel arbitrator's simple questions about criminal intent and a falsely placed Interpol Red Notice against a U.S. citizen. Claimant David Aven explains how one corrupt or incompetent government official caused the Costa Rican government to be sued for a huge amount of money under he CAFTA treaty. His claims go uncontested by the Costa Rica attorneys! 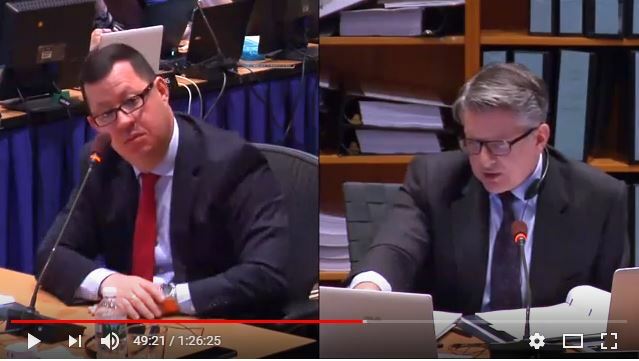 Costa Rican attorney and expert witness Nestor Morera testifies that the Costa Rica government was negligent and improperly charged David Aven and Jovan Damjanac with crimes with no evidence or proof of intent. Attorney General of Costa RIca Julio Jurado Explains How "Legal Fraud" Exists in Costa Rica. Witness Jovan Damjanac describes corruption in Costa Rica. Attorney General of the Republic of Costa Rica, Julio Jurado, explains to the panel that legal fraud exists in Costa Rica. One of Costa Rica's expert witnesses, Priscilla Vargas, bungles her presentation by bringing a completely different project report to the arbitration, then refuses to admit her mistake when it is obvious to everyone present. 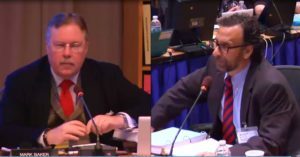 Above; Costa Rican Attorney/Professor and Expert in Constitutional Law, Mr. Luis Ortiz of BLP Law (right) addressing Mr. Mark C. Baker (left) of Norton Rose Fulbright, one of the World Bank ICSID co-arbitrators. Luis explains to Mr. Baker how Costa Rica authorities did not follow the laws of Costa Rica. 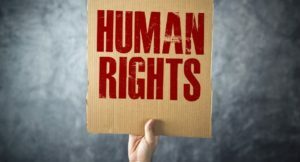 He discusses how U.S. investors and their representatives' basic human rights were violated by the negligence of Costa Rican government officials. Click audio icon above to hear a government official from the Municipality of Parrita, Puntarenas Province, Costa RIca (where the Las Olas project is located) asking for a bribe payoff of $200,000. 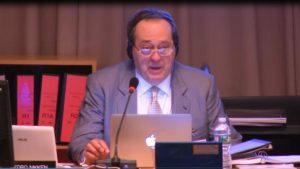 Mr. Eduardo Siqueiros, from Mexico City, selected as the Chairman by the ICSID at the World Bank, with agreement of Respondent and Complainant. 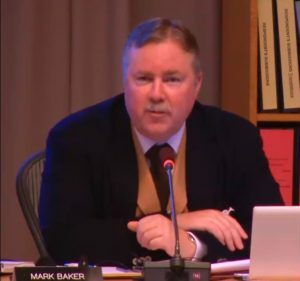 Mr. Mark Baker, from Houston, Texas, selected by the US Investors. (the Complainant). 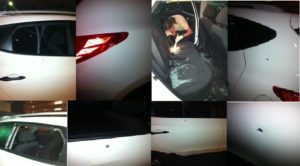 Assassination attempt on the life of the Las Olas Project manager/Investor, Mr. David Aven. 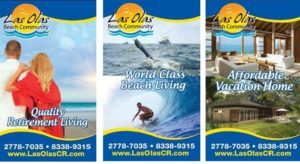 There were claims that the Las Olas project was shut down because the US Investors refused to pay a bribe. 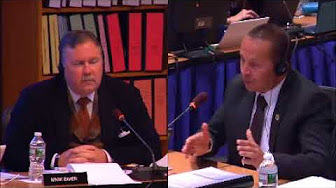 Direct evidence presented at the hearing by a Mr. Aven, and others, indicated a corrupt criminal prosecutor by the name of Luis Martinez Zuniga, started an ill-founded criminal investigation against both the developer representative, Mr. David Aven, and the project's Sales and Marketing Director Jovan Damjanac for violating wetlands and forestry laws. It was ill-founded because the developer has received all the legal permits, including the construction permits, and a number of reports over the years, all saying there were no wetlands. Evidence showed the Mr. Martinez ignored Costa Rica Law in refusing to comply with a number of SETENA resolutions, which are Government orders that must be obeyed by all public and private people, including Costa Rica Judges. 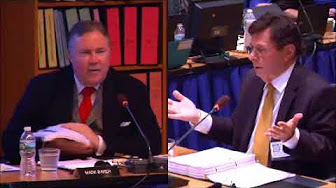 Mr. Aven clearly stated at the hearing, that none of the Government Functionaries Mr. Martinez, MINAE, TAA the MUNCIPALITY or Costa Rica Judges, followed their own law. Other high ranking former Costa Rican officials and attorneys also made the same claims at the hearing and in witness statements. INTERPOL, knowing the crime alleged against Mr. Aven did not meet INTERPOL’S referral guidelines. I state the following after having read all submission documents, documentary evidence, and watching all six days of hearing videos that are posted on YouTube. I have personally interviewed a number of people involved in this case. The total time I spent taking a deep dive into the facts and evidence in this case was in excess of 300 hours. Based upon this extensive investigative time, it’s my conclusion that there was Government corruption and an abuse of the legal justice system. Mr. Martinez, and other Government employees, disregard for the law resulted in the destruction of a multi-million-dollar resort project that could have been an economic boom for the people living in the area of the project. The Costa Rica Government has great power, which their supposed use fairly and impartially. The Government has the police, the prison, the prosecutors, the judges and the courts. That power has to be used judiciously, not arbitrarily. The Costa Rica Government has the power to arrest you, throw you in prison, without any proof you committed a crime, and hold you there up to a year, while they try to find evidence against you. Fortunately, that didn’t happen to Mr. Aven or Mr. Damjanac, but it has happened to other US citizens/investors. One being Pat Hundley, who owns Day Star Properties in Jaco Beach, which is 10 minutes from the Las Olas Project. 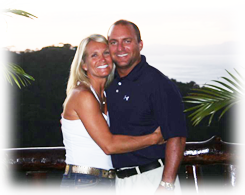 Mr. Hundley perhaps the biggest resort developer in Costa Rica's largest beach town, Jaco, and a man who gave selflessly to help citizens and the community over many years was thrown into jail under false charges in what Costa Rica calls “preventative detention”. He was held for about 1 year in a prison, in some of the worst inhumane conditions, while Costa Rica tried to make a case against him. He was only released after paying over a 1 million dollars without proof of wrong doing or admitting to a crime. It’s reported that 18% of the prison population, in Costa Rica, is made up of people put there under this abusive form or imprisonment. 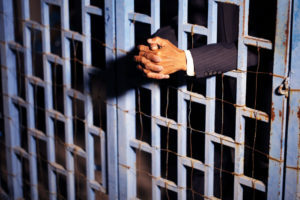 The Human Rights Court has petitioned the Costa Rica Government to end this primitive and abusive preventive detention law and stop putting people in Costa Rica dungeon prisons, without charging them with a crime, and with no proof or committing a crime. #19 – 2014 Valleyrun Blvd.